Israel Navy control supervisor. Credit: IDF Spokesperson Unit. In recent weeks, I had the opportunity to join IDF units whose job it is to monitor and disrupt Hamas threats. One of the visits I paid was to the Israel Navy’s Erez Arena Control Center, located just north of the Gaza Strip. Here, officers told me about the ongoing arms race between Israel and Hamas, and the cutting edge intelligence-gathering abilities that are securing the Israeli coastline and territorial waters, 24-7. 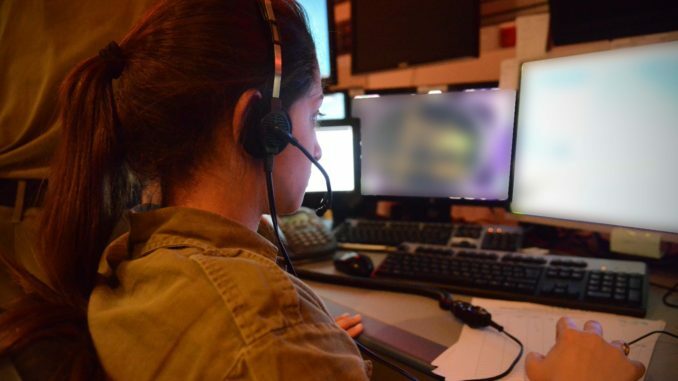 Ultimately, they said, the most important links in the chain of security defending the Israeli coastline are the control supervisors – female soldiers who must spend six hours a day glued to radar and camera screens. I spoke to some of these controllers, to gain a better understanding of what their demanding tasks look like, and found highly motivated soldiers committed to their mission. 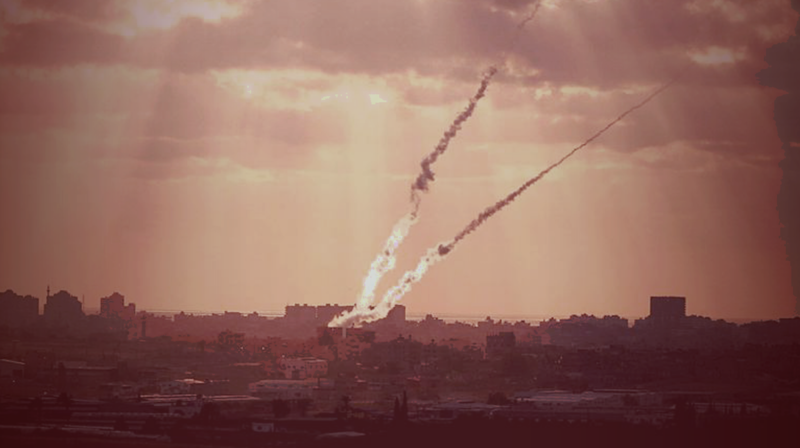 This month, we received a reminder of what Hamas has in store for Israeli cities, when a large-scale terrorist cell based in Nablus was broken up by Israeli security forces. The cell was plotting suicide bombings, planting bombs and gun attacks targeting Israeli cities and smaller communities. IDF detonates bomb (right) found during raid on Hamas cell in Nablus area. Photo: IDF Spokesman Unit. 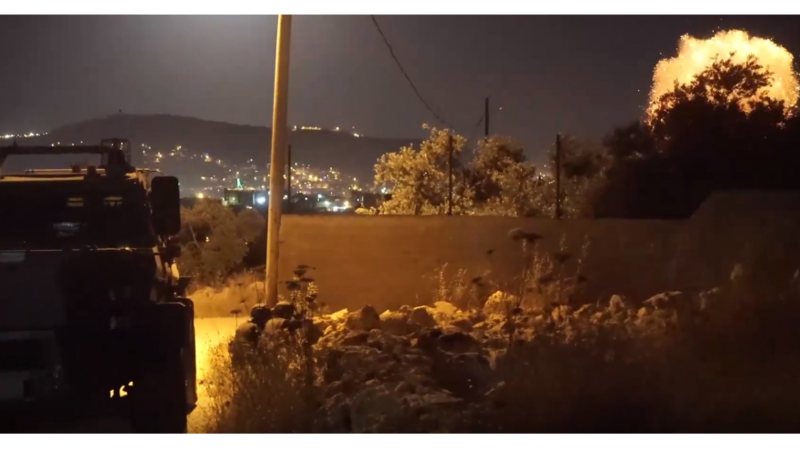 The cell planned to target Tel Aviv and Jerusalem with bombings, as well the settlement of Itamar near Nablus, and carry out additional shooting attacks in the northern West Bank, according to the Shin Bet. Some of the attacks were stopped just before they were scheduled to begin, added the intelligence service. Full story for JNS here. The Shin Bet intelligence service released sobering figures on the scope of the ongoing terrorist threat facing Israelis. It stopped 250 significant terrorist attacks since January. In addition to the ‘classic’ threat of organized terrorism, the Shin Bet also is dealing with a second variant, known as the “lone attacker” phenomenon. It arrested an estimated 400 would-be lone attackers in 2018 so far. Click here to read about how the Shin Bet is using big data and artificial intelligence to predict and foil such attacks. We hear a lot about the big advantages that the F-35 fighter jet has begun delivering for the Israel Air Force. But what about the older legacy fighter aircraft, the F-16s and F-15s? 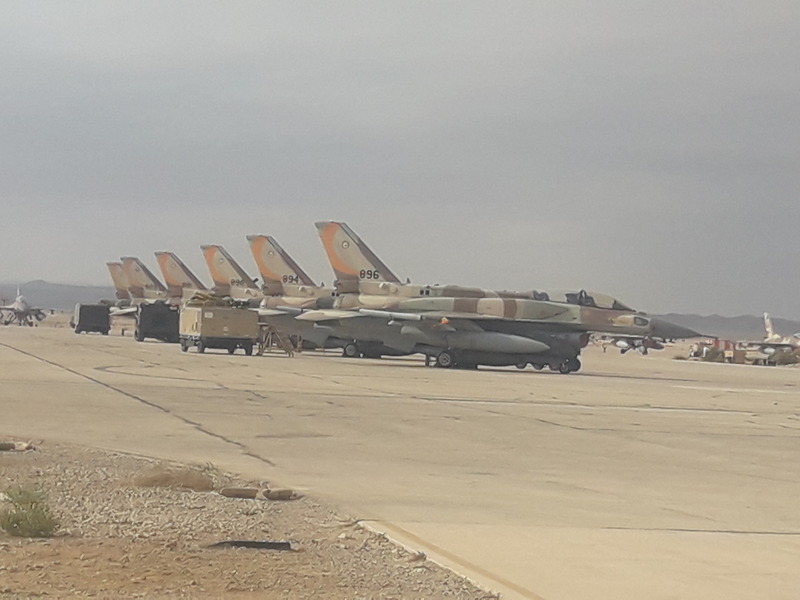 In an exclusive interview with me, the former Israel Air Force chief, Maj.-Gen. Eitan Ben Eliyahu, said the air force still needs to have hundreds of older combat aircraft at its disposal. F-16 fighter jets at Uvda AFB. Photo by Yaakov Lappin. The F-16 remains the backbone of the IAF, and the F-15 will also continue to play a critical role for years to come. An overview of the role of the older jets in the 21st century air force is available here. Recent days have seen some important developments in Israel’s force build-up process. The Israel Navy has a new torpedo, which can hit targets at longer ranges and with greater accuracy. It takes the navy decades to acquire new torpedoes, so this is not an everyday occurrence. New Eitan APC prototype. Photo: Israel MoD. Story at Jane’s Defense Weekly here. 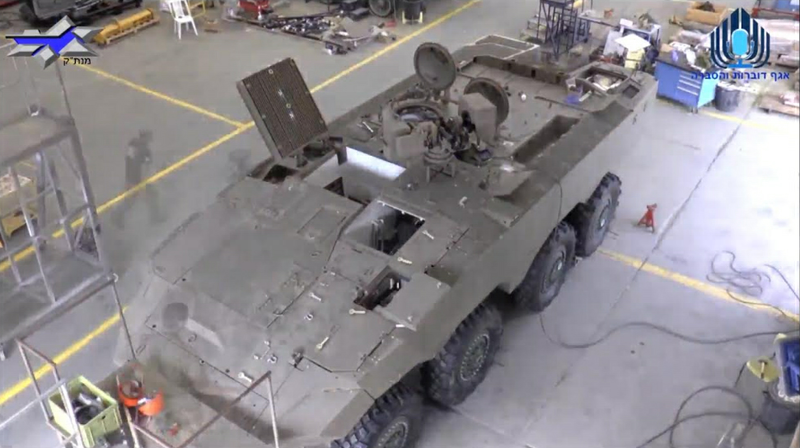 In addition, the Israeli Ministry of Defense (MoD) has rolled out a second prototype of the Eitan wheeled armored personnel carrier (APC). This high speed armored vehicle will take teams of 9 infantry soldiers from base to battle arena, and defend them with an active protection system that intercepts missiles. The new prototype will have different engine from the first one, and several other upgrades. Story for Jane’s Defense Weekly here. 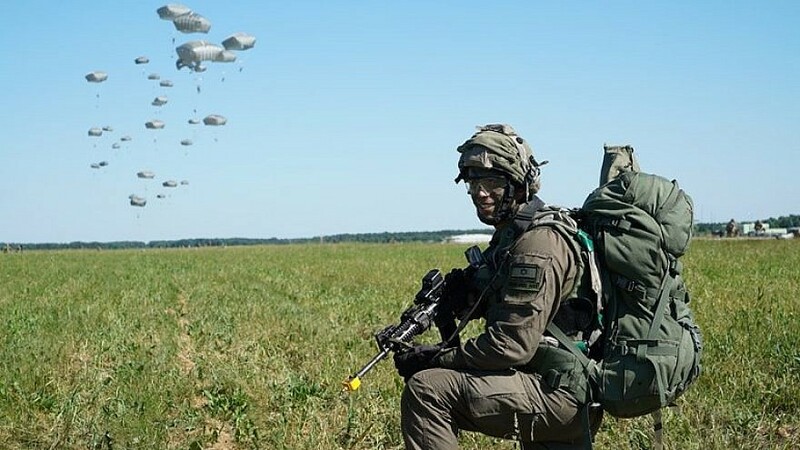 When Israeli paratroopers parachute to the ground on Polish soil and, together with their American counterparts, practice seizing airfields, it’s an unusual event, filled with historical symbolism. The IDF flew a platoon of 40 soldiers and officers to Europe, to train with US forces. He added that it was impossible to ignore the symbolic significance of Israeli paratroopers operating on Polish and German soil, 70 years after Israel’s establishment. “Of course, this [Israel’s founding] came after the Holocaust and the Second World War. Taking part in such an exercise on Polish soil brings great meaning to every soldier,” he said. In the same story, I noted thad the air force held a drill recently in Greece, in which long-range strike missions were practiced. The ability to fly lengthy missions and refuel in mid-air would, in theory, be critical to any potential future strikes on Iran’s nuclear targets.